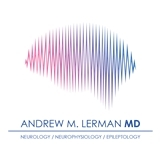 Andrew M Lerman, MD (Miami) - Book Appointment Online! Our mission is to provide the best, most personal and up-to-date approaches to treating neurological disorders and significantly improving the quality of life of our patients. The practice will provide excellent care for various neurological diseases including headaches, concussion, stroke, movement disorders, seizure disorders, memory disorders, Alzheimer’s disease, Multiple Sclerosis and traumatic brain injury. Optimal care will be provided for patients guided by the following principles: access, availability, trust and reliability. Dr. Lerman is simply amazing! he knows whats he is doing, explains everything and answers every question.